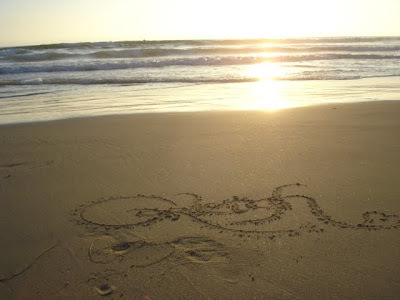 On December 15, 2008, I started my day like every other day. I got up around 7 am and got ready for work to head to Dayton to begin work. Everything was going fine. It was just another normal day and then I received a phone call from Holly. She asked me if I could get off work early because Dr. F called and said that we needed to come into the office today. Holly said that it didn't matter what time it was because there was something concerning on the ultrasound she had that day. I was wondering what could be wrong. 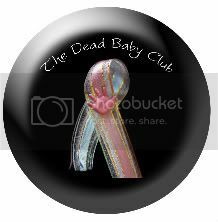 What ran through my mind was that our baby was going to have some sort of defect that she'd have to live with the rest of her life. I never imagined what was really in store for us. I told Holly that I needed to call my boss and see if I could leave early and I'd call her back. I called my boss and he said that I could leave. I called Holly back and told her that I was on my way. I got to the building where Dr. F's office is and went inside where Holly and Kyndra were waiting for me. We went up to the office together and waited. It wasn't long and they took us back and got Holly's vitals and then took us to one of the exam rooms. When Dr. F came in she told us right away what was going on and Holly started to cry. I wasn't sure what anencephaly was but I knew it wasn't good by Holly's reaction. Dr. F explained to me what it was and then went through our options. Holly said right away that she was carrying to term and I told her that I was behind her 100%. Whatever she wanted to do. When we left Dr. F's office we went down to the radiologist's office so that we could look at the ultrasound pictures. Even though I'm not good at looking at those kinds of things, it helped to see it. I called my mom to let her know and she thought I was joking around with her because I like to do that. I told her that I would never joke about my daughter's life like that. She didn't know what to say and she started to cry and so did I. Looking back at that day, I know I was very sad but at the time everything seemed to go so fast. I remember thinking that I needed to be strong for Holly. I also knew that our lives would never be the same and that it would be what we did with the situation that would shape how our lives would be. 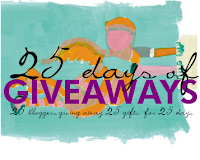 Tina @ Living without Sophia and Ellie has put together a bunch of giveaways hosted by and for babylost moms. You can click here for the list of giveaways. A new one will be added each day. Each giveaway only lasts for that day so you have to be sure to enter as soon as you can! Thank you, Ashley (Mackenzie's mommy), for the stocking you created for Carleigh. It is so cute and I will definitely be hanging it up! Thank you, Jill (Emma & Chase's mommy), for sending me the star pin and the cards and bookmark. It was so thoughtful and I appreciate it! 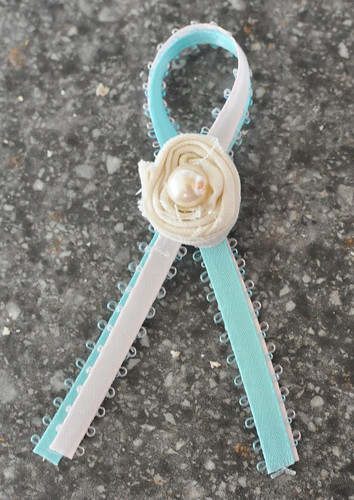 Thank you to my co-worker, Sharon, for donating to the Neural Tube Defect Research Fund at Duke in memory of Carleigh. I've added you to my list of donors. If you would like to make a contribution to this fund please click here to find out how. Thank you to everyone who has contributed to Harley's raffle, both in donating items and money. You can click here to learn more about the raffle and see the 12 items that you can win. It runs until December 10. You can also donate on my upper right sidebar. There's actually more prizes than people entered right now so that's pretty good odds, wouldn't you say? It's been 8 months today. It was a good day. After work I went and visited Carleigh. The air was crisp because of a slight breeze but the sun was shining so there was still warmth. It had rained recently so I cleaned off water from her stone. Her fall flowers and pumpkin are both looking great still. I didn't say anything while I visited. I didn't feel a need to. I picked at the stone a little and a piece of it came off. I then tried to crumble it into tiny pieces but didn't get very far. The grass on Carleigh's grave where they dug up is different from the surrounding grass. It's greener and softer and new. Eventually the rough grass will overtake it and I won't like that much. So I decided to savor this new grass and I laid down on it for a little bit and closed my eyes. I felt the cool air blowing but also the sun warming me. I liked the warmth. I wanted to just take a nap there, but I needed to get home to Kyndra. Later this evening I looked out the kitchen window and was met by a beautiful sunset. We don't get very many breathtaking sunsets in SW Ohio. It's not like living on a beach with the ocean waves crashing and the smell of salt water in your nose as you watch the sun create spectacular hues, like a painting in the sky. Nothing like that, but tonight it was pretty good. (Sunsets always seem better on a beach, at least to me they do.) As I looked out the window, I noticed the darker blue sky fade into a lighter blue. The light blue faded into a peach that faded into a burnt orange. Not a cloud in the sky either. I had to step outside to see it better. As soon as I went outside on my front porch I was greeted by the sunset and a single little star in the sky staring straight at me. I thought of Carleigh and it seems like this was a gift to me. It was a lovely way to end my day. A simple song came to my head. I sang it often as a child. He cares for me, He’s so good to me! I love Him so, He’s so good to me! I praise His Name, He’s so good to me! Thank you Caroline, Sherry, and Sarita for sending me messages. Thank you to everyone who thought of my daughter today or said a prayer. I always appreciate it so much. Today you would've been 8 months old. Can you believe that? You've been in Heaven for 8 months! I bet it feels like you just got there. Mommy has been doing pretty good here without you. Most days I do just fine and I smile happily as I remember you. There are days though when my heart aches because I miss you so much. I expect that. How could I not miss you? You are my perfect, beautiful daughter. So very loved. You know your mommy likes to be a know-it-all so the hard part of this journey is it being so unpredictable. I don't know what each day will bring me. Will something remind me of you and make me want to cry? Will a conversation take an uncomfortable turn? Will my feelings get hurt? Will I remember you fondly and smile at the memories? We just had Thanksgiving without you here. We have lots to be thankful for. You are one of the reasons. You are a blessing from God. A gift we could not keep. Daddy took a picture on Thanksgiving of me and your sister as she napped. It is so sweet. A mother gazing adoringly at both her baby girls. Love you and miss you, my little star. Well, I have made it through my first Thanksgiving without Carleigh. Last Thanksgiving I was almost halfway through my pregnancy and we hadn't found out yet she wouldn't live. What a difference a year makes. Our Thanksgiving was good. We went up to the northern region Wednesday night and spent today with Anthony's family. We stayed at his parent's house for a couple hours and then went and visited his grandma and grandpa before making the trek back home. I wore my Carleigh necklace. I guess that's the closest I can get to her actually being there. I thought of her the most on the ride home. I told Anthony, "Happy Thanksgiving" and I patted him on the shoulder. I must have been smiling weird because he said "What?" in a certain tone that made it sound like I was up to something. "Can't I wish you a happy thanksgiving?" "Yeah, happy thanksgiving. It was pretty happy." "It would've been happier if Carleigh was here." And then we just held hands as we listened to Switchfoot's new song Always on KLOVE. I'm thankful for a lot of things this year. I can think of many in regards to Carleigh and our journey with her. I am thankful for God's preparation of me for this journey. I am thankful for knowing ahead of time that Carleigh wouldn't live. I am thankful for the family vacation we had just days after the diagnosis. I am thankful for starting this blog to chronicle our journey. I am thankful for the kindness of our funeral home. I am thankful for the generosity that family, friends, and strangers showed us in gifts, cards, and so much more. I am thankful for being able to have maternity photos done for free. I am thankful for my coworkers collecting money for my 3D/4D ultrasound. I am thankful for our prayer shower and to those who came. I am thankful for the friends who helped me create a belly cast. I am thankful for the wonderful nurses who took care of me when I was in the hospital. 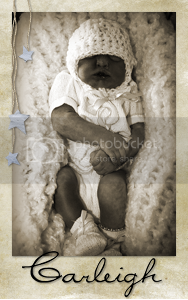 I am thankful for Ashley spending all day and night with us taking pictures as I labored and delivered Carleigh. I am thankful for NILMDTS. I am thankful for being able to spend the night with my daughter by my side. I am thankful for being able to leave the hospital with my daughter in my arms. I am thankful for my Aunt Becky and Uncle Buck for all they have done. I am thankful for the support of our pastor. I am thankful for our parents who wanted to pay for Carleigh's funeral and burial. I am thankful for the many who came to Carleigh's visitation and funeral to support us. I am thankful for holding my daughter as much as I could. I am thankful for God's provision and His love. I'm sure I left some things out, but the point is..... I have a lot to be thankful for. I've been meaning to do this for awhile now but just never got around to it. I'm so tired right now and therefore cannot think of anything good to say so I'd really like to hear from you, my readers!! Whether you follow me 'officially', leave me comments or emails, or just lurk in the shadows, I want to hear from you! So please leave me a comment on this post and tell me about yourself. You can leave as little or as much as you like. You can tell me your name, where you're from, about your family, what you like or dislike, and more. And since Thanksgiving is coming up (in America at least) you can even tell me what you are thankful for. I'd love to know how long you have been following us on our journey and how you found us too. Thank you to each and every one of you that have read our story and prayed for us. Thank you to the many who have left us comments. Each one is read and appreciated so much. So tonight I will say I prayer and thank God for the support you have given me. Saturday we had a family Thanksgiving, which a few on my dad's side came to. It was nice and I even did fine with the two little baby girls there, one my niece and one my cousin. I seem to do ok with babies that belong to my friends and family. I avoid strangers' babies as much as I can. I prolly could handle it but I'd rather not find out at this point in time. I brought out some of Carleigh's pictures to look at. I talked to my Aunt Sherry some and that was nice. She lost her son Brett, my cousin, 19 years ago to a heart condition. I remember it happening but I was just a child and it didn't affect me as much as it does now. She certainly knows this road I walk and she's even said you live with it forever and I don't doubt it one bit. She wrote me a letter that is tucked in Carleigh's little box of letters and cards in her memory chest. I'll have to get it out and read it again. She asked us to look back on the past year and to think of just one word to describe it. One word? How could I possible come up with one word to describe all of what I have been through and all that I have felt? Pastor Lisa said that the one word Jesus would use is come. (I am paraphrasing here because I can't remember exactly word for word.) But anyways, that's all it took to get me thinking even more about what this last year has brought me and I was teary-eyed the whole time. Then we stood up to sing a worship song and I just lost it. I didn't try to fight it this time because I knew it was useless. Anthony just pulled me close and I buried my head in his chest and cried. I cried through the rest of the song, through closing prayer, and a little bit after everyone was leaving. The release was nice. Gosh, I miss her so much. After church we went to the cemetery. Kyndra played around and picked up leaves to give to everyone. Not long before we were getting ready to leave I knelt before Carleigh's stone and I just rested my hand on the face of it by her name. My mother-in-law was behind me and asked something along the lines of "has today been a bad day?" And I told her, "No different than any other day." Which in all honesty is the truth. Every day I think of her just the same, it's just today I didn't hold back my tears. Most people see the happy and smiling Holly but I'm also hurting underneath. But I'm also not sad, sopping mess either. I don't feel sorry for myself. I just miss her. My mother-in-law said something else but I wasn't paying attention and then I heard her ask, "Do you think having another baby will make things better?" I tell her, "No, it won't." And it really won't. No baby we ever have in the future will ever replace Carleigh or make this hurt go away. We'll always miss her and there will always be a part of our family missing. Just wanted to say you might not see me around much this week since we have Hannah this week. I may read but not comment, or maybe I will. You never know. Thank you Franchesa for creating a hope collage for Jordan. I love it!! 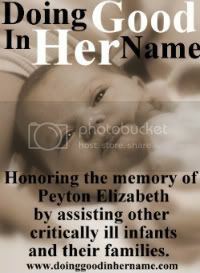 And thank you to Betty, Rikki, Kate, Sue, and Paige for sending me photos of Carleigh's name. I appreciate your thoughtfulness and the wonderful photos that each of you took! You can view all the beautiful photos on Carleigh's facebook page. Along with Carleigh's photo albums, I've created an album for Jordan on Carleigh's facebook page. It only seemed right that Jordan should have an album too even though it won't be as big as Carleigh's. Jennifer at The Blue Sparrow wrote a post about being able to spend one more day with your baby. Her post really moved me and she encouraged her readers to write their own post. It is the weekend and I wake up seeing that it is daylight. I don't hear Kyndra so she still must be sleeping. I love sleeping in on the weekend so I snuggle in deeper in my bed intent on getting a few more minutes of shut-eye. Out of nowhere I hear, "Holly, it's time to get up." I sit upright, not sure what I am hearing. "It's time to get up, my child." I instantly know it is God talking to me. I am filled with so many emotions. Joy, peace, fear. What could God what with me? Knowing what I am wondering He replies to me, "She's here." I don't have to question what He means. I know. I bolt out of bed and into the living room. There she is. Sitting on the couch. She appears to be Kyndra's age and God reassures me that He has sent her to me as such but that I only have today and then she is gone. I fall to my knees and start crying. Once the shock quickly wears off I go to her. I pick her up in my arms and I hug her like I've never hugged anyone before. She hugs me back. "I've missed you so much. I love you." I take a moment away from my hug to look at her. She looks so much like her sister it's startling. I give her kisses on her chubby cheeks and run my fingers through her blonde hair as I breathe in her scent. She's perfect. Then she says the most beautiful word I have every heard. I can't stop the tears now as the moment is everything I have ever wanted. I yell for Anthony but he is slow to wake as he always is. I yell for him again and sensing the urgency in my voice he gets out of bed. He sees that I am holding our daughter but he is puzzled because she looks like Kyndra but it clearly isn't her. He believes me as God has laid it upon His heart of what today means for us. Overcome with emotion, he embraces us. At that moment, we hear Kyndra stirring upstairs in her room. We both are so excited for our daughters to meet. We go upstairs and Kyndra is standing in her crib. She sees us and is so excited. She spots her sister. I tell her, "It's Carleigh, sweetie." "That's right, sweetie. Carleigh, can you say Kyndra?" The joy is almost too much to take. We take the girls downstairs to the living room and we make them a breakfast of pancakes. They gobble down daddy's pancakes in record time. Of course, they are both a sticky mess which means a bath is quite necessary. The girls have so much fun in the tub. A couple of water rats. I make sure to give them lots of bubbles. They giggle and squirm as I give them old men beards and bikini tops made out of bubbles. I make sure to dress the girls in similar outfits like I always planned to do. We don't plan to go anywhere for the day. We know that home is where we want to be. So we play with the girls all morning and cuddle with them as we watch Dora and Diego. Kyndra and Carleigh play together as best friends would and babble away at each other in a language only they seem to understand. They could pass for twins. After a lunch of mostly crunchies, the girls are tired so we all take a nap together in mommy and daddy's bed. But not until after a pre-nap wrestling fest full of tickle monsters and raspberries and squeals of delight. We finally settle in under the covers when the girls start to rub their red eyes. I make sure that as I fall asleep that I am touching both of my girls. I wake up first and see my sleeping girls who look like little angels. I leave a kiss on each of their foreheads which ends up waking them up. We decide to take the girls outside to play on the playset. The girls have so much fun playing on the slide and swinging. Their laughter makes the air sweeter. I can almost taste it. God gave us a beautiful day to enjoy with our girls. We spend several hours outside but then the air starts to get a chill so we go inside and let the girls have another bubble bath as daddy prepares supper. We have french fries and chicken tenders-the staple to every toddler's diet. Carleigh enjoys the french fries as much as Kyndra. The evening passes quickly as we spend more time with our girls. As the light fades from the day I know that it will soon be time to let my little girl go. I don't want to do it but I know I have to. We get our pajamas on and put the girls in bed with us. We give them goodnight kisses and tell them how much we love them. I feel the embrace of Carleigh's arms and the kiss of her little lips for the last time on this earth. I can't help but cry because I want more time. One day is never enough but I am grateful still. So I cry myself to sleep with my two most precious gifts wrapped in my arms, knowing that this will be the last time I will ever be this happy this side of Heaven. 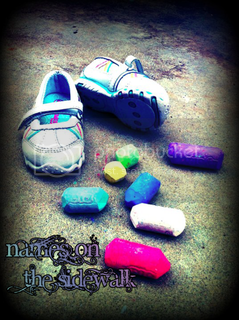 Thank you to everyone who has told me that you love the photos I took of your babies' names. I am so happy that you like them! I took (most of) them last weekend when we were visiting our families in Findlay, OH. I went to Riverside park and spent several hours remembering and capturing a moment for each of your babies. There are several photos I took that I did not take at the park. I was not able to get all of them done while I was there as I had to get back to visiting Anthony's grandpa. I wanted to share with you all the place that I took (most of) these pictures. I just thought you'd like to see it. It was a pleasure to be able to take those photos for each of you. In all, I had 126 final photos (although I took much more to get the best pic!). I'm going to guess around 150 names were written since some photos contained more than 1 name. Most of them were on leaves, several were on rocks, and a couple written in pebbles. Oh, and one on a tree. I'm sorry if I missed you. If you would like me to take a picture for you please email me at caring4carleigh@yahoo.com. 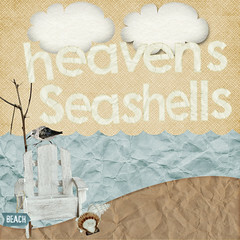 I got pretty darn excited when Sue announced on the My Forever Child blog that she had some new designs up. So I went to the My Forever Child site and looked around and I found the perfect one. All quantities are limited on her new designs to only 1 or 2 and there was only 1 of the one I wanted so I quickly called hubby and got the ok to get it! Phew! I really like it because it has a star and the color purple, which both remind me of Carleigh. I also like the 3 inspirational words. 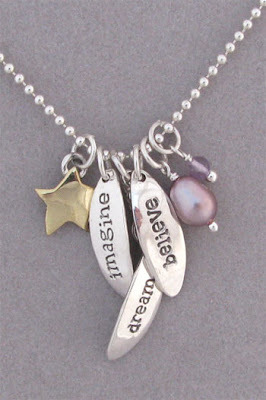 She has new designs in Inspirational jewelry and Fertility-TTC-Pregnancy jewelry. I just had to share because I was really excited about her new jewelry. Onto the winner of the Steven Curtis Chapman's CD Beauty Will Rise!! There were 23 of you that told me you wanted to be entered. Congratulations to Trisha @ Looking for Blue Sky!!! Trisha, I will email you and get everything from you. I hope you enjoy your CD! Thanks to everyone who entered!! Here we go! 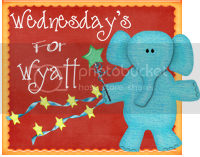 Our third Wednesday for Wyatt! It’s quite simple to participate. All you have to do is copy and paste this post on your blog, and go to Danielle's blog to link up with MckLinky! Once you do that, your all set to win a great giveaway. Carleigh's memory chest is done and at our home. My Aunt Becky & Uncle Buck (they also created Carleigh's toy box) delivered it to my parent's house last week and I saw it for the first time Friday evening when we arrived for the weekend. The first thing I thought was 'wow'. The first thing I did was run my hand over the lid of the chest. It is perfect. It is better than I even imagined. Anthony and I went to visit my Aunt Becky & Uncle Buck on Sunday while we were in their area to properly thank them for the hard work they have done in creating this beautiful masterpiece. It was nice to see them. I think the last time I saw them was at Carleigh's funeral. We visited with them for a couple hours. During that time we got a tour of their workshops and listened to Uncle Buck tell us stories of the making of Carleigh's chest. Aunt Becky played with Kyndra during that time. It was so interesting to hear how Carleigh's chest was made and the effort behind it. 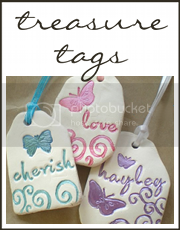 They spent many hours cutting, sanding, and gluing just so that we could have a special place to put her treasured keepsakes. I am truly thankful. The above picture shows a board of walnut that Carleigh's chest was made out of. There were many layers of paint that need scraped off before any work could be done. It doesn't even look like the same wood. Here are some of the boards that were left over. The pieces on top are walnut and the pieces on bottom are poplar. This is most of the main workshop. See that bag full of stuff? That's sawdust. They had 1 1/2 of those bags in creating Carleigh's chest. That's a lot of sawdust! One of the machines in my Aunt Becky's scroll saw area. There's another machine to the right. My Aunt Becky is really good at it. Here is my Uncle Buck & Anthony in the scroll saw area. Uncle Buck was getting some of Aunt Becky's pieces to show us. He showed us several angels that they were deciding between for the angels that are part of the memory chest. Becky and I are really close to finishing your memory box. Or at least we think we are. All that is left to do is put some lid supports on it and resolve one remaining issue. It may be done this weekend. If so we will probably take it to your Mom and Dad-unless some catastrophe strikes. Well, there is that and the endless worry that you won't like what we have done. It is always like that for us. We get so wrapped up in things that all the worry is pushed aside until the very end. Now that we aren't thinking about details we have time to worry and we have darn near talked ourselves into starting all over!! I hope you will forgive the many mistakes and errors I am certain you will find over time. We had never done anything like this before and an experienced eye would tell you we still need a lot of practice. I am worried that it may not be as strong as I wanted it to be and... well, just fill in the blanks. I am worried about everything associated with it. Holly, I hesitated when you asked about building something like this for your friend because I can't look at it as a piece of furniture. To me it is a work of art. Not really good art, but art from Becky and me. We give it everything we have. But I have no idea how I could ever put a price on the effort. We would spend hours working on something as simple as inlaying an angel or arranging the boards in one manner or the other. Fellow woodworkers that I discussed the project with told me I was insane for worrying about all the tiny details the way I do. They told me I was far too slow to ever make any money doing this. They are probably right. But it is the only way I know. I cry on Becky's shoulder when something goes wrong. I break a sweat over the smallest of details. And if you ever do a DNA test you will find that Becky and I both left blood on the wood after cutting our fingers doing something or the other. There you have it, blood, sweat and tears! I am not complaining, it was part of our own little journey. I just don't know how to place a price tag on it. I guess if someone is interested in us building a box for them we would consider it. But please be sure they know who they are dealing with first. This is all new to us. We are slow and we make a lot of mistakes! The truth is you could probably go to WalMart and buy a better box. No one there would have ever tried to use the wood I chose. And I am sure that whoever makes boxes for them has a jointer so their joints and seams are much tighter than what I can achieve. I have no doubt they are more highly skilled and have better tools to work with. The only way Becky and I can compete is in the story. So here it is. When Holly first discussed her need for a memory box I hoped and prayed she would find someone else to build it for her. My logic was very simple: Things like that take so much out of me I didn’t want to face the mental strain. Others may see it as simply building a box but nothing is that simple for me. I find brushing my teeth to be a major decision making process so something like this was completely out of the question. For me, building a memory box for Carleigh was far more than cutting and joining wood. It is like this anytime I decide to build a project with wood. When I take sawdust from a piece of wood it takes something out of me as well. It is an exhausting process. Each project ends up being a memorable journey, a part of my life that I never regret. But as much as I enjoy seeing the picture in my head come to life, getting it from concept to finished product is tough. Running away is much easier! I knew Carleigh’s memory box would be even more difficult than other things I have built. In this case the box would have to be as special as the memories and mementos it would hold. I wasn’t sure I was up to the task. I’m still not sure. There are so many decisions. Do you use dark wood or a light wood? Should it be soft wood, hard wood or plywood? What style looks best? Flat panels, raised panels or should I go without panels at all? How about hinges. Should they be hidden, flush, or surface mounted? Should they be continuous, round, square, or rectangular? What type of box should it be? Should the box have a lock on it? Would it even turn out the way the family wanted? Oh yeah, would it be the right size? On top of everything else I had never built a box like I thought she was talking about so I wasn’t certain I could even build one that would withstand the rigors of ordinary use. Since the box would be housing something as special as Carleigh’s things I knew every detail would be of the utmost importance to me. My head was spinning with all the different questions and concerns so I ducked when the idea of a memory box was being floated. Or at least I thought I ducked. Becky had a different idea and told Holly we would make it. So begins the tale of building the memory box. When I set out to create something like this I need to be certain the wood is right for the project. Becky and I discussed making the memory box out of cedar. Nope. How about wood recovered from the family barn? Maybe, but it didn’t feel right for this particular project. We looked at wood we found in our own barn and even considered having lumber cut from elm, hickory or oak trees harvested from our property. We looked at using some quarter sawn oak Becky had bought at a store in Toledo but in the end none of it felt right. We, mainly me, spent months looking for the right wood for the project because I just can’t get started on something like this unless the wood feels right for the project. Then one day Rosie, our neighbor from across the pond asked if I wanted some old walnut from her storage building. She said if I didn’t take it she was going to burn it to get rid of it. I agreed sight unseen. Any woodworker would understand. You just don’t pass up something like that. The wood was stored on a small loft and Rosie, at 76 years old, had climbed a ladder and was in the loft ready to hand down the wood when Becky backed the trailer down her driveway. I hope I am that nimble and active at 56! Rosie explained the wood had been recovered from a house her husband worked on years ago. She didn’t remember the house or any details, just that her husband Howard had recognized the walnut under the many layers of paint and decided to keep it for a special project that he never got around to. The minute I touched the first piece Rosie handed down to me I knew what that special project was. This wood was always intended for the memory box. Don’t ask me why because I can’t explain it. All that matters is that I was being granted the opportunity to give this wood a second life and I was finally out of excuses for not getting started. This may sound really strange but I honestly believe some wood is destined for specific projects. If you don’t believe me look for the tiny face in the figured wood on the memory box. It wasn’t visible when everything was covered in paint. I have no idea how it survived the multiple passes of the planer that I had hoped would eliminate most of the defects in the wood. Even the endless sanding Becky did wasn’t able to remove it. I thought about digging out the small amount of white paint that forms the mouth of the face but in the end I decided to leave it. After all, it had been through a lot and it seemed pretty determined to be a part of the memory box. But I am getting ahead of myself. Working with second life lumber is far more difficult than working with anything you purchase at a lumber yard. To begin with it is never the exact size you need. Every piece of wood is cut or planed no less than 6 times. In my case it is closer to 20 times if I need to plane it to size. And that is before you start sanding or shaping it. I always laugh when I read about a woodworking project and the author tells you to order 10~15% more wood than the plan calls for. The idea is that you will need to trim some ends and widths so you will have a small amount of waste you need to account for. I must be a lousy woodworker because my projects with second life lumber usually end up with about a 50% scrap rate. To be fair, not much of it actually goes to waste because Becky takes everything larger than a gnat’s backside and keeps it for her scroll saw projects. But it is too small for me to use again. Given the difficulty of working with used wood, any sane person would do the logical thing and buy new lumber to begin with. But I enjoy the journey so much I don’t mind the battle. I guess it is like the difference between taking the interstate or a 2 lane road in the country. You can get there in a hurry on the 4 lane. But there is a lot more history on the 2 lane. It just takes longer. The key is to look for reasons to enjoy the journey. Second life lumber usually provides me with enough challenge to keep me interested. This wood had several layers of paint that I scraped, sanded and cussed for hours before I could even cut the first piece. John and Linda saw me working on it one day and after laughing at me commented that it didn’t look like a lot of fun. There is some truth in that statement! I was attempting to find and extract the nails that were buried in the wood. And I did remove a dozen or more nails. Unfortunately I wasn’t overly successful because the fasteners of craftsmen past resurfaced and took out 2 sets of planer blades and 3 band saw blades. One of the nails pretty much ruined a table saw blade. And all this was after I thought I had carefully checked each board for nails. Look closely and you will find the end of one nail that single handedly wiped out a band saw blade and a set of planer blades. I figured if a nail was going to fight that hard to stay embedded in the wood I would let it be. Maybe it just wanted to stand as a record of the history of the wood and remind everyone its life did not start as a memory box. Fortunately, no one recorded the choice words I had for that darn nail. I love the subdued tone walnut brings when used in an application like this. I particularly like the mystery of where the wood came from and why it ended up here. To me the parallel with the journey Carleigh took to be a part of our lives is so obvious it couldn’t be missed. In the great story of life, both are unknown mysteries. The beauty of the figured grain is offset by some of the straightest, most boring grain I have ever seen. I imagine it is a lot like Holly’s pregnancy was. A whole lot of boring days where not much was going on, but then we witnessed those moments when the clock stopped ticking and memories were fused forever in the minds of everyone who was a part of the journey. I even like the dings and flaws in the wood. A fellow woodworker once told me there is no such thing as a flaw or mistake when you build with wood. There is only character. In building the memory box I had to accept this wood lived a life before I got my hands on it. The battle scars you see stand as proof of that life. In a sense the wood hasn’t changed, I am just reworking it for a second lifetime protecting precious mementos. It felt wrong to remove all the character that has defined the wood for decades. So I made sure some of that remained. I even added a few of my own “character marks” but you will have to find them yourself. Hard as it is to believe, simply deciding on how the figured grain would be arranged on the box turned out to be a several hour affair. I spent time trying to arrange it one night and finally gave up in total disgust. The next day I asked Becky to do it for me. As always she was more than willing to help any way she could. She spent the better part of her evening sorting and arranging the wood to make sure the look we achieved was the one we were after. We went thru the whole process again just before the final cuts were made. Then we talked about which side would be out and which would be in. It was a torturous procedure because we are both pretty particular when it comes to things like this. Even after all the wood was cut and fitted Becky was turning individual pieces this way and that looking for a better match of color and grain. It is like this on every project we do together. And I wouldn’t want it any other way. I changed the design of the box with each different wood we considered so there were probably half a dozen ideas rejected. Even the size and style of the box changed depending on the wood I was considering at the time. I ended up choosing the design you see for 2 reasons: one was the symbolism of storing treasured memories and mementos in a treasure chest. The other reason was far more practical. It is difficult to store anything heavy on a curved top chest. I have never made a piece of furniture like this before so I wasn’t sure how strong the lid would need to be. Call it cowardice if you like. I call it self preservation. I wrestled with the idea of handles on the box. My first thought was to not have handles at all because I didn’t like the idea of memories being lugged around. Handles are on trash cans for Gods sake. I preferred the mental image of embracing the box and the mementos stored within it. But in the end the reality of hugging the box to carry it overcame any romanticized visions I had. It is a lot heavier than it looks. But that stirred up a several hour investigation of the different types of handles that are available. More on the handles later. I debated the lock issue for the entire length of time it took to build the memory box. I really wanted to work with a full mortise type of lock, the kind you see on all the really old furniture. I have never done this before so it seemed like it might be kind of fun to try on this project. In the end I decided against it. I am not sure why. I guess it has to do with the realization that memories aren’t meant to be locked away. They should be readily available and a key just gets in the way. The pile of wood that Rosie gave us included a few pieces of poplar. Years ago poplar was often used for the interior portions of furniture. I guess the green and purple hues that are sometimes present in a piece of poplar weren’t considered attractive so this wood was often stained and hidden from view. I wanted to keep with tradition so the bottom of the box is from the poplar Rosie gave us. But you can see the purple and green hues. Again, it is the character of the wood and I wasn’t about to hide it. Besides, it had spent several decades stacked right beside the walnut waiting to be used so I figure they can spend the next several decades beside each other. I think Howard, Rosie’s husband, would agree. I wanted to use wood from the family barn on the memory box but it was tough deciding how to go about it. Ash and walnut are so different and I didn’t want the color contrast to detract from box. (Just another worry in an endless line of major concerns for me!) In the end Becky and I decided to use ash from the barn to make the handles for the box and lid. We also used ash for the feet of the box and for a center rib I decided to put on the lid (Fear of the lid breaking got to me in the end.) Since I was so worried about a potential clash between the ash and walnut we stained the ash that is visible on the outside of the box. The angel accents Becky made were also cut from wood that was recovered from the Putnam family barn. But we didn’t stain these pieces. We thought it was better that way. It just seemed like a good way to finish things. Besides that, I like the idea of the wood representing several generations of the family always looking in on the mementos of Carleigh, a child we never got to know. And now here are some pictures of Carleigh's memory chest. I really don't think that these pictures can adequately show how beautiful it really is. You just have to see it in person. Last night I put all of Carleigh's keepsakes into her memory chest. I actually took a video of it but it was like 13 minutes long so I didn't want to post it. I am sure that her chest will be reorganized later at some point but at least for now her stuff is in there. I can't wait until we have a new house and will be able to create a special area for her and Jordan. I am starting another (and final) raffle for Harley. If you remember, sweet Harley passed away August 24, 2009 from Alpers Syndrome. You can visit her CaringBridge page or her blog for more of her story. I am doing this raffle to raise money for Harley's parents, Katie and Cameron. Please continue to say a prayer for them. This raffle will begin now and run until December 10, 2009 with the winners being announced December 11, 2009. Each entry into the raffle is $1 so $10=10 entries. 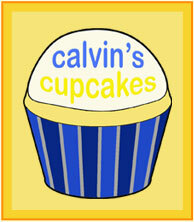 To purchase an entry please click on on the orange button that says 'ChipIn!' and you will be able to send the money through Paypal. All money is going directly to Katie. You can click here and it will take you to the ChipIn page. Thank you to everyone who has generously donated. If you would like to see a picture of an item please email me at caring4carleigh@yahoo.com and I will work on getting that to you. It is not too late to donate an item. Donations will be accepted up until December 9, 2009. This meeting we would like to talk about where you are. Where are you at in your grief? Has it been years or just weeks since you lost your baby? How are you feeling? How do you hope you will feel in the future? Have you found any peace at all? 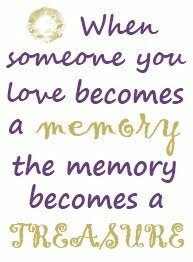 It has been over 7 months since I have said hello and goodbye to my precious Carleigh. How am I? I would say pretty good. Most days I am generally happy. When I have a sad moment it usually doesn't last very long and it's most often triggered by a song that I am listening to. So I guess it most often happens in the car while I am driving to and from work. I've always had peace about this journey. But even with peace you can have moments of pain and longing. I imagine as more time passes these moments won't happen as often as they do now and I am ok with that. I know I will never forget. I hope I can always continue to live with happiness and look back with a smile as I remember the times that I spent with her and to also keep my eyes on the path that will lead me back to her and my Savior. Anth and I are visiting family this weekend, specifically my new niece Kinsey who was born on November 5 and his grandpa who isn't doing well. We'll be getting in a lot of visits! My Aunt Becky and Uncle Buck have completed Carleigh's memory chest and they brought it to my parent's house. I saw it last night for the first time. It is AMAZING. I can't wait to share it with you all. It means so much to me!! I have an idea of something special to do for some of you and I'd like to try to do it this weekend. Sorry, but I have to keep it a surprise! I want to let you all know that I am now an affiliate of My Forever Child. If you click either one of the banners on Carleigh's page or the links from now on and purchase an item I will make a certain percentage of the sale. Now, I am doing this not to make money for myself but to be able to giveaways for all of you. So, if you know of anyone purchasing through My Forever Child have them do it through my links! Thanks! I mentioned before of Steven Curtis Chapman's new CD Beauty Will Rise. I bought the CD yesterday and WOW! It is really good. Each song is written through the eyes of a grieving parent. I highly suggest buying this CD. I actually bought 2 extra copies of the CD. One will be put in for Harley's raffle. If you would like to donate or make an item for this please let me know. Thank you to everyone who has already expressed interest in donating. I appreciate your generosity so much! I will be setting up the raffle on Monday. This month we are focusing on our gratefulness for the gifts we were given and the ways our lives were changed by the lives of our babies. I never imagined my life would take this course. 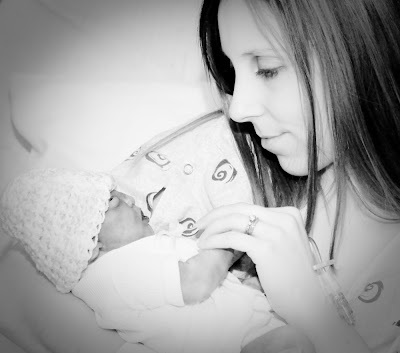 I never imagined my child would be given a fatal diagnosis. I never imagined that I would have to bury my child. But yet, it has all happened to me. Am I angry that this happened? No, I'm really not. I feel I've been given a great gift and I would never want to give it back now. In fact, sometimes I feel like I've had the greatest blessing and that I'm the only one that got to experience it. She was part of me for many months. I felt her every moment. I was the only one to feel her hiccups, which were so light I had to focus on them to feel them. We had a bond that wasn't broken when she died. It was still there when she was born. I know because I felt it. I still feel connected to her. I am grateful we shared and continue to share something so special. One thing I am quite thankful for is knowing ahead of time that Carleigh wouldn't live. It gave us time to prepare and to capture and cherish moments with her. When I plan something I really plan it. I had pretty much every detail planned out for Carleigh. Her birth plan is proof of that!! I already knew through my experience with Jordan that you can draw closer to God through tragedy. It was no different with Carleigh. The very day we got our diagnosis, I felt Him. He assured me that all would be ok. We would eventually lose our daughter here on this earth, but we would not lose our faith in God. It has actually grown stronger and deeper. Our trust in Him is absolute and unwavering. I am grateful for many things over the course of our journey with Carleigh-the many prayers, support that was given, the love and comfort we felt, the gifts and cards we received, the kindness from strangers. It all means so very much to us. There is no doubt that this whole experience has changed me. There is much that is good but there is also some not so good. I'm working on the not so good, but it's a process. Our lives have changed dramatically and we have to learn how to live this new life. There'll be good days and bad days, but as long as we stick together and lean on God we will make it through. All I ask is for patience from those around us. This isn't something we will get through quickly. We still need you. We still need words of comfort and gentle hugs. I am indeed grateful for this journey, but most of all I am grateful for the gift of such a beautiful daughter. 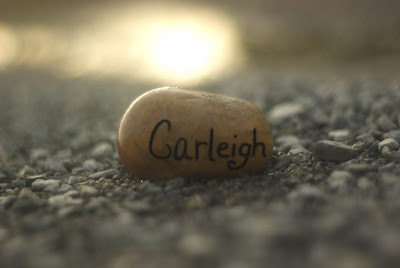 I have finally gotten around to creating a name gallery for all of Carleigh's pictures that so many wonderful people have sent me. I looked at several different sites to host all the pictures but finally decided to create a Facebook page since it could hold the most photos and people can interact on the page too. So you can visit Carleigh's page here. Now that she has a page, I will be deleting her group on Facebook. No sense in having both, really, and I think it will be easier. I was going to hold a giveaway this week but have decided to put that off until later. What I would really like to do is hold another raffle for Harley. If you remember, she is the special little girl who passed away from Alper's Syndrome. She was born in January 2008 just like Kyndra and her mom Katie and I were in a due date club together on Cafemom. I know there are still needs to be met and I would really like to help them out. I would really love to have several items besides the one I would provide to raffle off to try and raise as much money as I can. If you or someone you know would like to make or donate an item for the raffle please email me at caring4carleigh@yahoo.com. I would like to get this up and running as soon as possible. And thank you to everyone who made the last raffle such a great success! I truly appreciate it! You can visit the blog or caringbridge page to read her story. I got a sympathy card in the mail today from the University of Findlay. It was a nice surprise. Inside the card it says, "Our deepest sympathy on the loss of your little Carleigh. From your friends at Findlay." Then a bunch of people signed the card. I'm not really sure who they all are but it's nice. I imagine they found out from the update I submitted as an alumni. Maybe it'll be in the next alumni magazine. Some of you may be aware that Steven Curtis Chapman's new CD Beauty Will Rise was released today and the first single off the CD is called Heaven Is The Face. Oh my goodness. This song is AMAZING. If you haven't heard it pause Carleigh's music player at the bottom and play this video below. I've already bought the mp3. Yeah, it's that good. 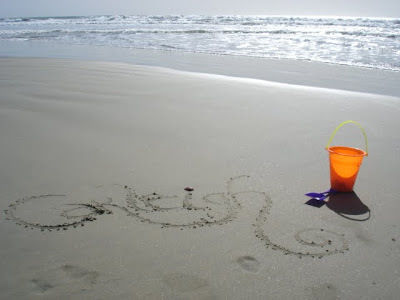 I have some more pictures of Carleigh's name to share. 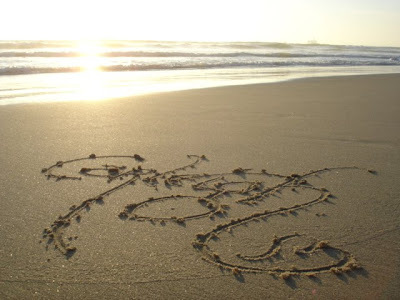 Camille emailed me several pictures of Carleigh's name in the sand. Here are just a few of them. The first 2 are at Huntington Beach, CA and the last one is at Newport Beach, CA. Thank you so much Danielle and Camille for thinking of Carleigh and sending me these wonderful pictures! I appreciate it so much!! 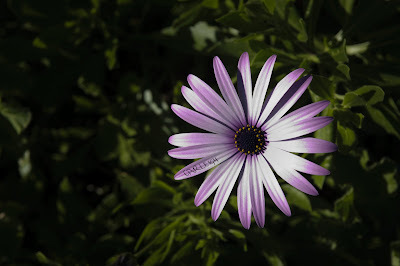 Also, I finally got around to purchasing the jpeg of Carleigh's name written on the flower as a part of Rory's Garden @ Say It With Flowers. Thank you Sarah!! On Friday I decided to pick up some fall-colored flowers to replace the springy ones in Carleigh's vase. I wanted something a little more fitting for the season. I looked at Walmart because we were grocery shopping there and they really didn't have much but I was able to find some yellow sunflowers and some blue flowers that went pretty well together so I got those. Today after church we went out to the cemetery so that I could put the new flowers in. It was such a nice day! Kyndra took off with Carleigh's pumpkin as I worked on changing the flowers. I think the flowers turned out pretty nice and Anthony just had to note (happily of course) that the flowers were Michigan colors. He's so silly.